Our basic activity is related to artēzisko aku and drilling, reconstruction and plugging of artesian wells. We will prov water supply systems at your home. „GROUND WATER”, Ltd. is a new company, established in 2012 providing the services of to provide services in water supply: to provide services in water supply: drilling of artesian wells, reconstruction of the existing wells, plugging of old and abandoned artesian wells, installation of water pipe systems into houses for water supply, the development of internal water supply systems in buildings. 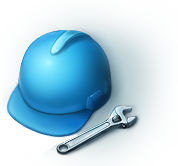 The company offers also geological research and installation of sounds for geothermic heating systems. 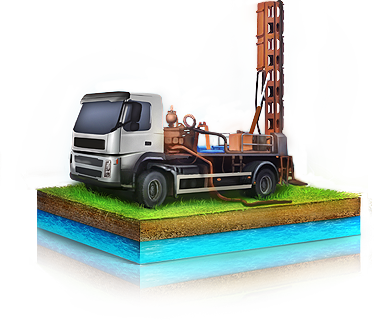 The quality of the work performed by „GROUND WATER”, Ltd. is guaranteed by highly experienced drilling specialists, a geologist with the relevant education and information accumulated during the years of work in drilling and installation of wells for water supply in the territory of Latvia, as well as by relevant technical equipment. The company possesses several drilling machines suitable for drilling of artesian wells for private, as well as industrial needs.